To Stitch or Not to Stitch? Upon further review, I felt like the card was “naked” so I had to add stitching to the sides! Ahhh! Much better! Is anyone else obsessed with white stitching? 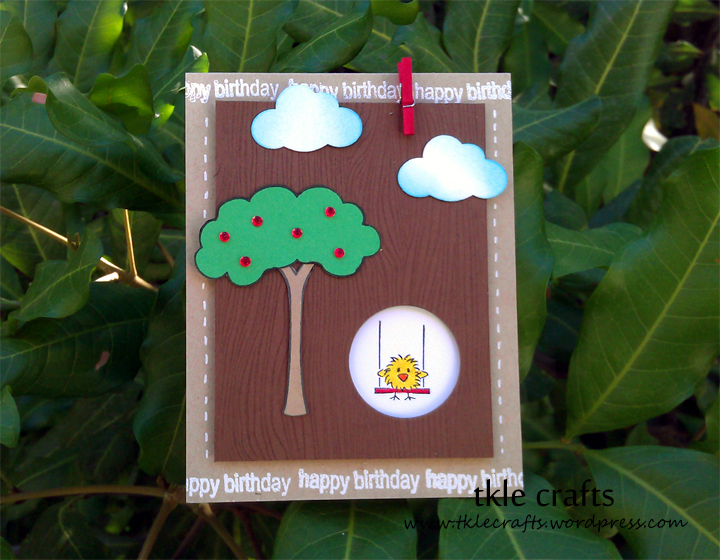 Recipe: CS from PTI, Wood grain background from Hero Arts, Happy Birthday Sentiment from Doodlebug stamps, Chickie stamp from DeNami Design, Tree stamp from Lawn Fawn, Bling, Ek success cloud punch, Tim Holtz distress inks, Copic Markers, Frost shimmer spray, Baby clothes pin, Stickles, White gel pen. 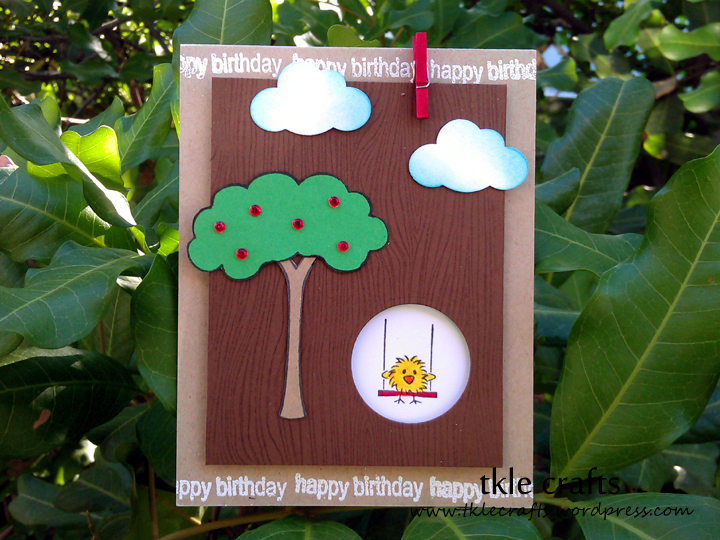 This entry was posted in Happy Birthday Cards and tagged Chickie Cards, Chickies, DeNami Design, DeNami Design Cards, Happy Birthday, Happy Birthday Card, Happy Birthday Cards, Hero Arts Stamps, Lawn Fawn, Lawn Fawn Cards. Bookmark the permalink. Honestly I like them both. The stitching gives it a little extra something, but either way it works.